Do you want to start video surveillance on Mac? 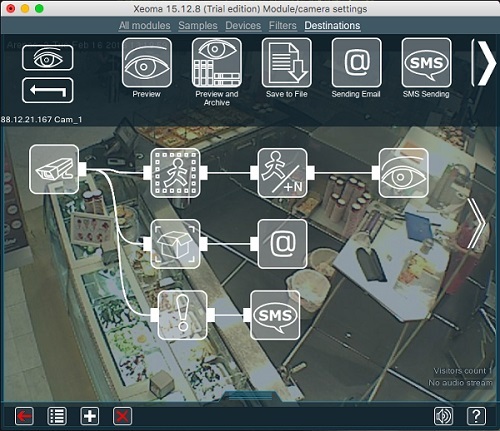 We are happy to present you Xeoma – video surveillance for Mac! 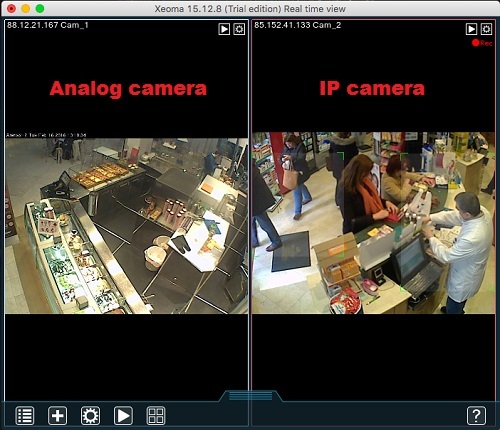 Xeoma will help you to set up an efficient video surveillance system. Whether you are planning simple home security or professional system, Xeoma offers a bullet-proof solution. Xeoma supports a wide variety of cams to suit everybody’s needs. You can connect to Xeoma traditional analogue cameras, DVRs and up-to-date high resolution cameras. Xeoma is equipped with an intelligent motion detector, where you can use sensitivity level, visualization of movement and object visualization. Pay attention to Xeoma’s modern detectors, such as “Cross line detection”, if you want to count how many visitors attend your shop every day. Somebody left strange box in your office? Nobody noticed it? Let Xeoma help you and immediately signal you about strange object in a camera view. You can say that video surveillance on Mac need to be under somebody’s control 24/7? No! 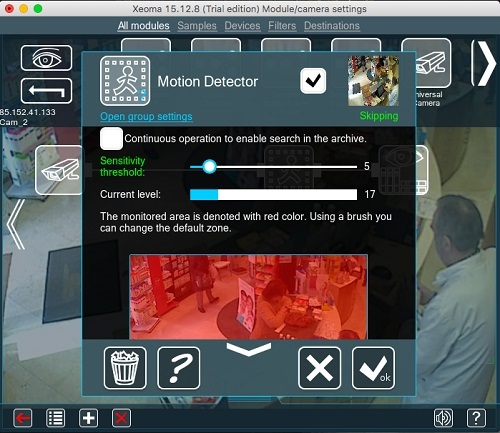 With Xeoma “Problems detector” module you can configure your video surveillance and forget about it. If something happen, you will get SMS notification about emergency situation. With all this modern features you can easily set up your video surveillance on Mac. Use our iPhone video surveillance application to view your cameras all over the world, even if you don’t have a static IP address. If you start you video surveillance on Mac from scratch, please contact us. Our operators can help you to choose the right camera for your needs. 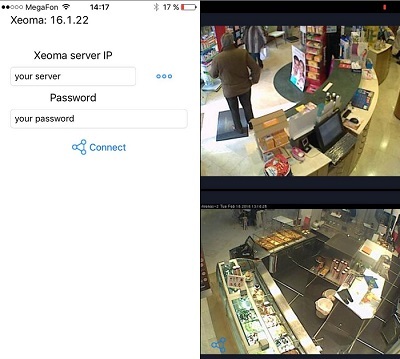 Whether you want to use IP or your analog cameras on Mac, Xeoma can help you to create a flexible and responsive computer based video surveillance system while still keeping your existing cameras and cabling.